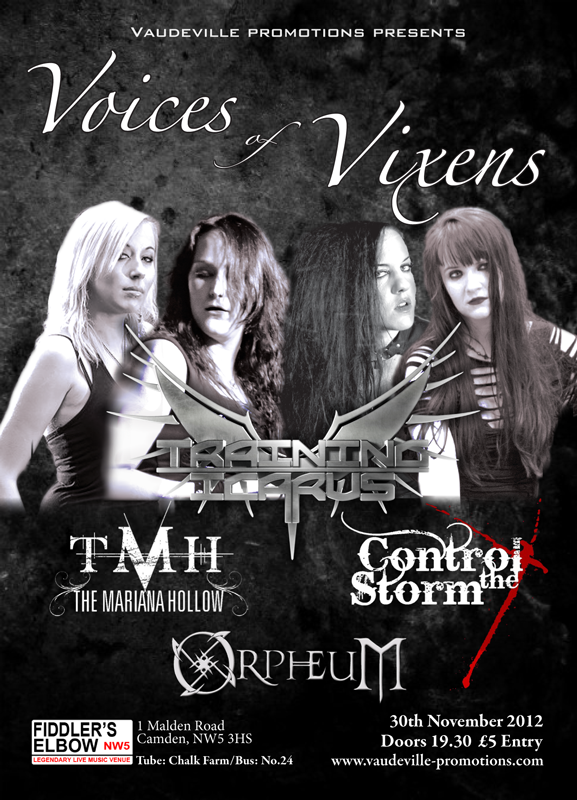 If our next show at the Voices of Vixens event doesn’t already tempt you, playing alongside the amazing Training Icarus, The Mariana Hollow and Control The Storm, we have one more trick up our sleeves. As well as uploading the full track of Broken Glass Kiss on the site and over on Reverbnation, we shall be debuting a brand new song in 10 days time at that very event! Friday 30th November, The Fiddler’s Elbow, Camden. It all kicks off at 7:30pm, so make sure you get in early not to miss a thing. Alive 107.3fm in Scotland, tonight! Tune in to the Heavier Than Metal show hosted by Chris Walker at 9pm tonight for a blast of Orpheum and for what will surely be a great show! Many thanks again to Graham for your support!